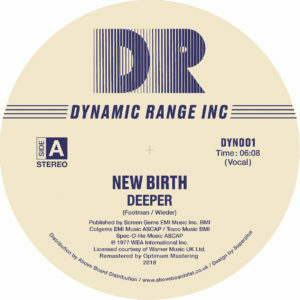 The debut release on the label is a real doozy - New Birth, the mighty Detroit Funk outfit who operated from 1970 onwards are first up to bat. Their late 70's rarity 'Deeper' is a real monster lifted from their killer 'Behold The Mighty Army' LP. Produced by legendary Motown stalwart Frank Wilson this is some straight-up Disco-fied Funk for sure! One of those solid, mid-tempo groovers that just ignites a dance-floor at any time, any place. Side-A is the glorious full-side Disco mix and we're treated to the full instrumental version on the flip. No lazy edits here, just the full Funk and nothing but the Funk, just as the group intended! This is one of many soulful treats that Dynamic Range will be presenting in the coming months, stay tuned for more - 'Ain't It Something?'. 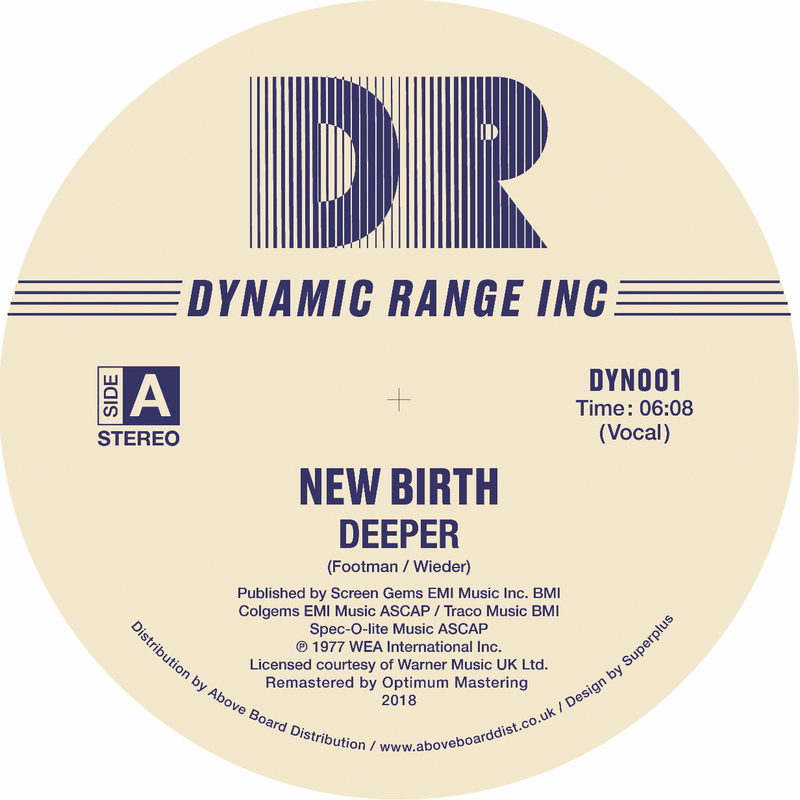 All music selected by the Dynamic Range team / Licensed and reissued by Above Board distribution in conjunction with Warner Music. Remastered with love by Optimum Mastering, Bristol UK. Artwork and design by Atelier Superplus. 2018.